The element of Wind or Air is called lung in Tibetan. It is symbolized by the shape of a rectangle and the color green. 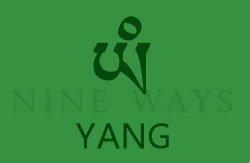 The unique vibration of this element is the sound ‘YANG’. It is associated with the direction North. In general, Wind gives the ability to move, change, and transform. Even within popular culture, the phrase ‘Winds of Change’ is commonly used in songs, poems, and even political speeches to express a time of change and transformation. Historically, Wind has played a large part in affecting the course of events by determining the ability of war ships to attack, or not. By allowing explorers to reach their destinations, or not. And through calm or violent weather, determining the success or failure of many ventures. Environmentally, Wind has often been seen as an expression of the supernatural or the divine. In many cultures, a gentle Wind that arises at the conclusion of a ceremony is a sign of its success. In Greek mythology, there are twelve different gods associated with each of the winds of the twelve directions. Ecologically, the Wind’s quality of movement is important as a source of seed and pollen dispersal for plants as well as having a profound effect upon weather and climate. It can be beneficial such as being used as a power source for transportation, energy or recreational activities. Or it can be indescribably destructive through the force of tornadoes and hurricanes. Within our bodies, the element of Wind is associated with our breath and is responsible for providing the ability for things to move. It is specifically associated with the lungs. When the element of Wind is balanced within us, we can be flexible. We move from worry and anxiety to a solution. We are able to let go of our point of view and see the perspective of others. If the Wind element is developed, we easily move from anger to love, fear to peacefulness and from feeling blocked to feeling unblocked. Even in the midst of a problem, we remain aware of all of the things that are going right. Wind is also associated with communication and verbal expression. Well developed Wind can also give the ability to communicate or receive information psychically and to perform acts that are beyond the limitations of the physical world. In the Yungdrung Bön tradition, it is believed that the mind is effected by the movement of subtle wind. Therefore, if the element of Wind is in excess, one of the effects is that the mind is unable to concentrate because it is constantly moving from one thing to another. We are impatient. There is an almost constant need to talk or ask questions. But this kind of talking has little depth and we are thinking of our next question even before the first one is answered. We are unable to meditate because of the constant movement of the mind which often prompts the body to begin moving. To the extreme, an excess of Wind can cause severe headaches or even madness. If the Wind element is deficient, we feel blocked. There is an inability to progress in our outward activities or our inner growth and spiritual practice. We are stuck. Things become stagnant and stale. There is no freshness. Our mind is still, but there is no clarity or sharpness to our awareness. In order to bring the element of Wind back into balance, there are specific yogic exercises within the Yungdrung Bön tradition which use the focus of the mind together with the breath and movement of the physical body to balance and strengthen each of the elements within us. To learn more about these yogic exercises see Healing with Form, Energy and Light by Tenzin Wangyal Rinpoche. Also, the simple act of inhaling and exhaling with awareness can be quite helpful. Imagine inhaling pure, fresh Wind or Air and then exhaling all impure, stale Wind. Imagine this Wind traveling throughout the body. Similarly, imagine a ‘Wind of Change’ gently blowing into any area of your life that feels stuck. If the Wind Element feels disturbed and there is too much erratic movement, then focus more on the Element of Earth and imagine the Wind becoming calm and stable. Posted on November 3, 2013, in Five Elements, Uncategorized and tagged Asian studies, five elements, healing, sacred teachings, yungdrung bon. Bookmark the permalink. Leave a comment.